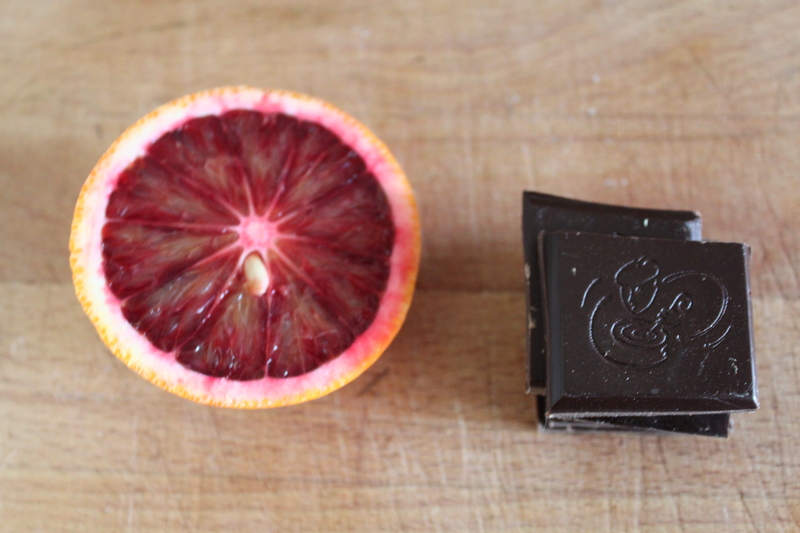 Guys I don’t mean to alarm you, but it’s blood orange time. And I’ve already made two blood orange dishes; as well as eating it with my daily yoghurt and porridge. 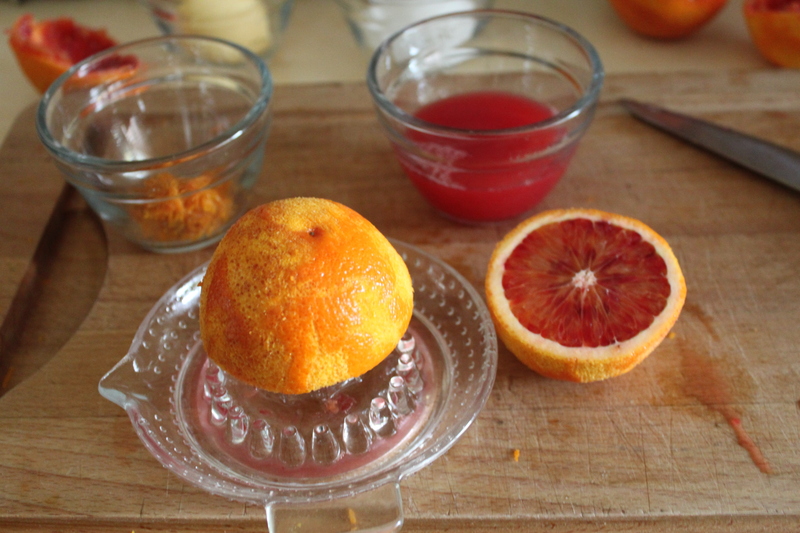 Blood oranges are easily my favourite fruit, the fact they signal the end of winter is purely a bonus. and oh gosh that smell. Like raspberries and oranges got together and made babies. Wait is that weird? Is anyone else stressed out that I finish university in 3 months? I think my head is stressed; it’s doing that whole, pretend it’s not there and it might go away. Except applying it to the whole university situation. Stationery shopping must be the answer. A new notebook will fix everything. 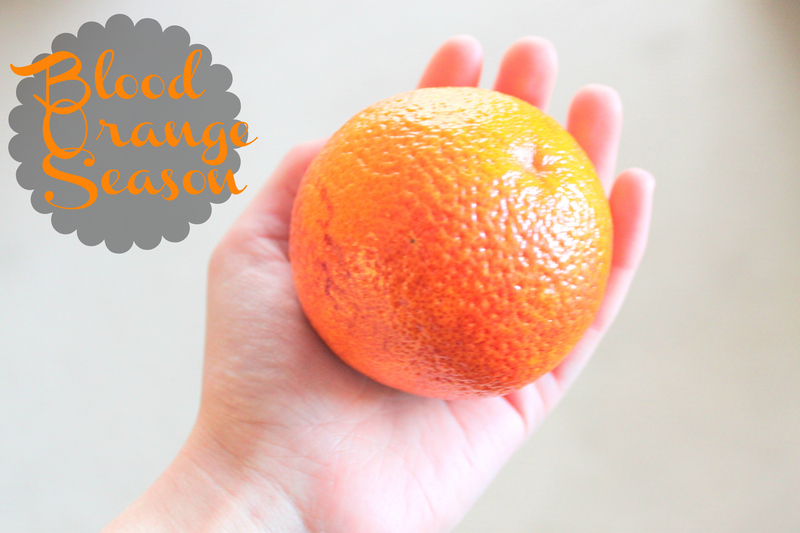 This is the first of my blood orange uses, blood orange buttercream. Air light and a perfect contrast for rich chocolate cake. In a medium saucepan, whisk together everything except the butter. Gently heat the mixture over medium-low heat, whisking constantly, until it thickens considerably (enough to coat the back of a wooden spoon), about 10 minutes. Remove from heat, and whisk in the butter. Strain through a metal sieve, and let cool to room temperature. The curd will thicken slightly as it cools. 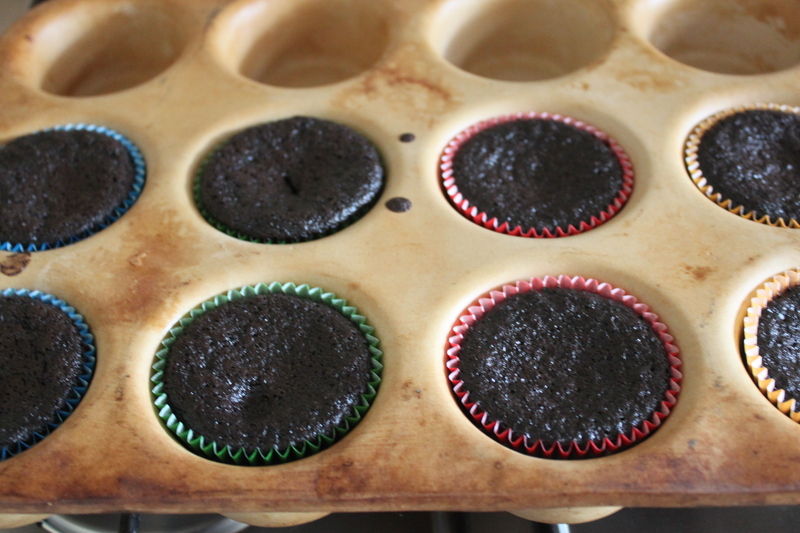 I strained twice, you will get a smoother texture; which is super important since you are adding it to frosting. Serve cold or at room temperature. Store in the refrigerator; this curd should stay good for about two weeks. In the bowl of an electric mixer, whip butter for 8 minutes on medium speed. Butter will become very pale & creamy. Add remaining ingredients and mix on low-speed for 1 minute, then on medium speed for 6 minutes. I added 3 tablespoons of the orange curd at this stage brought up to around room temperature. Do this one tablespoon at a time and fully incorporate before you add the next. Frosting will be very light, creamy, and fluffy. 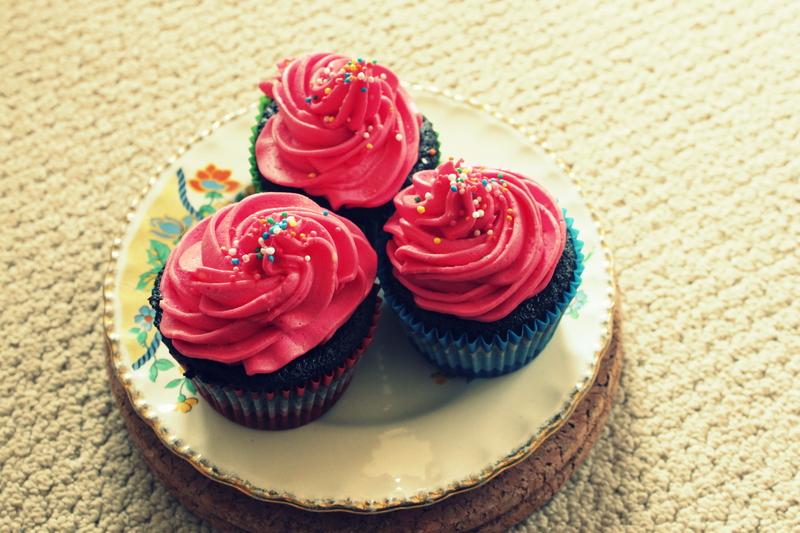 If you want all of your frosting (for filling and frosting cake) pink, then add a drop of pink gel colour and mix again, adding one drop at a time until desired pink shade is achieved. 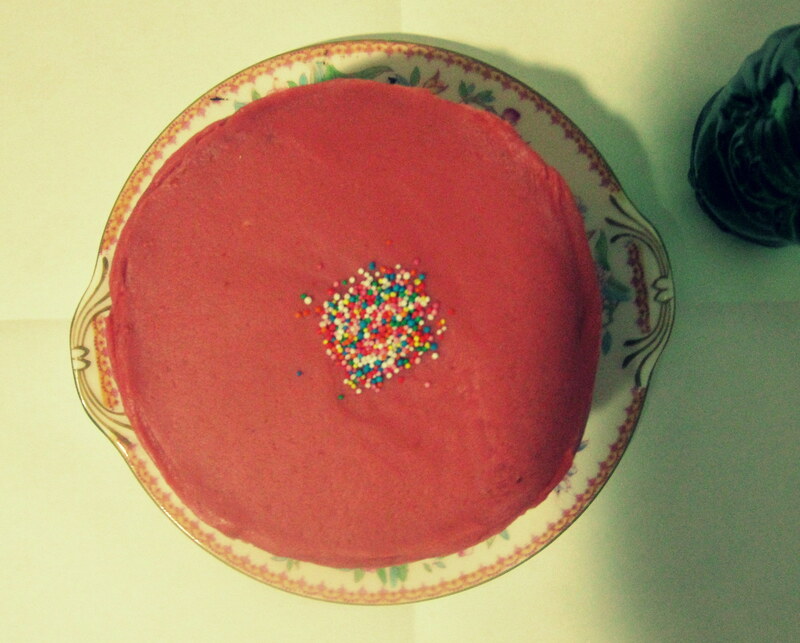 If you want just the outside of the cake pink, you will fill the cake layers first, and then colour the remaining frosting pink. Best used right away (for ideal spreading consistency), but keeps well once frosted. I used the chocolate cake recipe from Miettes cookbook which I posted about here. The chocolate is compliments of the Foodie Pen Pal scheme; amazing dark chocolate from the Margaret River in WA, post soon! You know those days (months) where you are just scared of the future? That’s totally not me. I cannot wait for it. I am super-duper bad at taking things as they go, I’m impatient to the max. Thus I created a Facebook for Little Cookbook a few days ago, I’d love to get to know the people who read my blog and if you live close I’d be happy to chat about baking you a cake; to be honest I’ll probably just bring you one regardless. In my mind this seems all very rushed and slow at the same time. But I’m not sure what I want to do when I finish university in THREE? months so this might help. 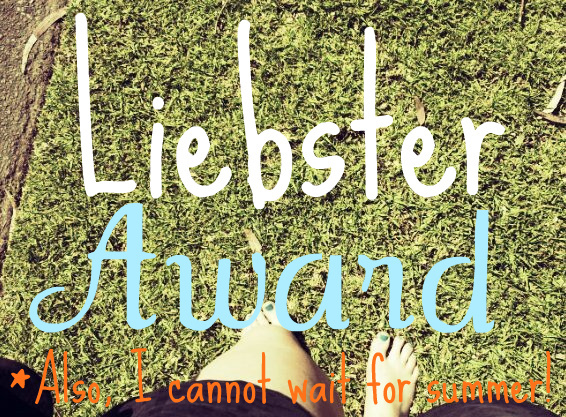 I also got an amazing surprise in my inbox a few nights ago from Faraaz and Aneesa, they lovingly awarded me with the Liebster award; which is an award for blogs with under 200 followers. 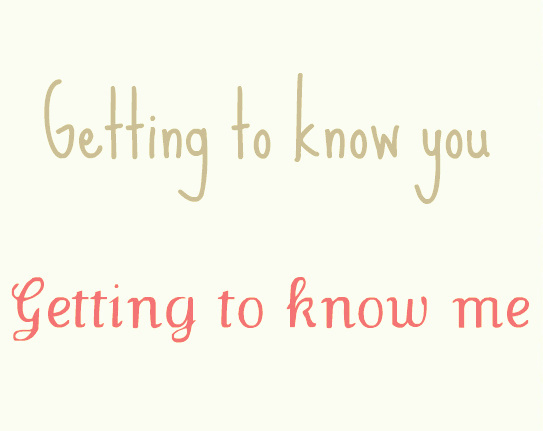 As part of that award they set a few questions that I have to answer, which I’ll do right now. Favourite book to film adaptation? Alice in Wonderland was my favourite book as a child (which you can read about here) and the Disney adaptation was my favourite film, I know that it isn’t wholly true to the book but the extent to which I loved them both seemed to trump that. My first job was in Scotland at a place called the Sandancer; I’m fairly sure it was illegal, I cooked the fast food, served ice cream and drinks, manned the counter and took the money on my own. At 14. Scotland get on to your child labour laws. Audrey Niffenegger or Iain Banks. If you could travel anywhere in the world and money was no object, where would you go? Why? North Korea. I want to experience a place that is wholly unlike the way I live. I’m totes aware of how strange a place that is to want to go. But there you are! Hair. Always. No question about it. If you had to live in a decade other than the current one, which would you choose? The 20s, the era of opulence and great loss. Eating in a theater nefarious behaviour or perfectly acceptable? Sailboat, there’s something romantic about a sailboat. If you could go back, what advice would you give yourself in high school? Try harder, do some study and don’t skip class. What movie do you flat-out refuse to watch, no matter how good people say it is? Any film adaptation of Nicholas Sparks’ books, same for Twilight. I’m going to pass this award on to I only eat dessert; which is a food blog based in Adelaide. I love the food shots and it’s all local. Go Adelaide! 1. Where is the best chocolate in Adelaide? 2. Carob; yay or nay? 3. What is your favourite non-food related Adelaide activity? Have you ever smelt a book? And I don’t mean walking into your local book store and cunningly sniffing the books; don’t judge, I’ve seen it happen. 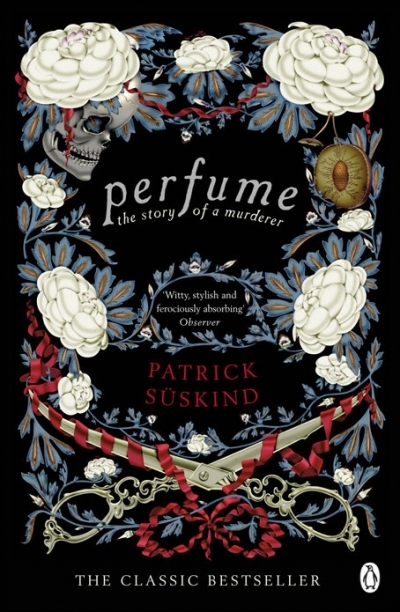 It sounds like a peculiar question but in Süskind’s first novel; the classic ‘Perfume’, that’s exactly what you will do. The book made me feel slightly uneasy, in the same way as a portrait staring straight at you sends shivers down your back. There is something quite disconcerting about having mundane everyday smells picked apart and described to you; the human for instance is comprised of, amongst other things: Cat faeces, cheese and vinegar… just delightful, thanks Pat (I can call you Pat yeah?). It is in descriptions such as that, that you understand the hatred and at the same time longing Grenouille has for normality. This book has two core levels that you could follow, there is the foremost level of a deranged man who lacks any emotion for anything other than scent, who wants only what is in his interest and cares very little for life. And then there is the underlying journey of self-discovery that Grenouille is on throughout the book, from unknown misfit child to his somewhat humbling end. If you so choose the first you may be pleasantly let down by everything but the wonderful language. However I chose the latter, because everybody deserves a chance. Despite the feeling of unease and hate that are laced through the text, this book does not fail to live up to it reputation as a classic. It is beautifully written, and you finish with a feeling of understanding; understanding Grenouille in a way that many have not, as a person. Despite this book being a story of murder, the one memory I will carry away with me, is not of those scenes but of the scents, from the putrid 18th century France to the sweet girls, the scents that Grenouille covets above all else.